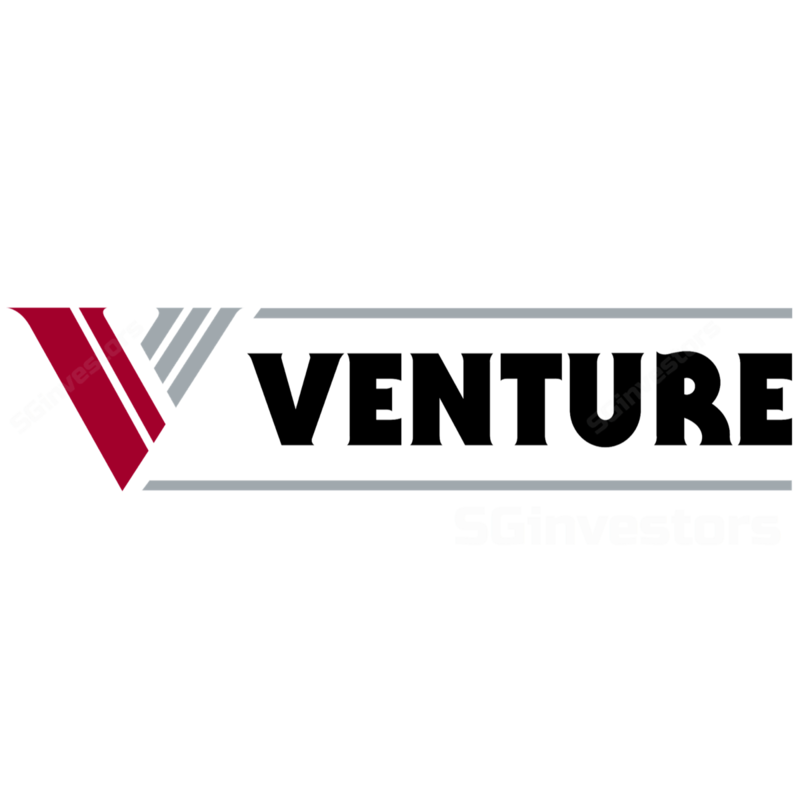 Venture reported a superb 3Q17, making up 87% of our FY17 estimate and blowing past the consensus estimate. It also enjoyed better margins, due to effective strategies and higher design content in their manufactured products. Going forward, management has yet to notice any signs of slowdown. In addition, it also expects margins to stay around 6-10%. With a more positive outlook ahead, we raise our FY17F and FY18F NPAT by 29% and 30% respectively, resulting in a higher DCF-backed TP of SGD24.10 (25% upside), implying 18x FY18F P/E. Maintain BUY. Strong revenue growth likely sustainable in 4Q17. Venture Corp (Venture) has over 180 customers, of which, more than 60% saw topline grow YoY, which impacted Venture positively. Venture has also been focused on product leaders in their respective target markets that also benefit Venture’s topline, especially those involved with products that have more design content. In 3Q17, more than 65% of the product leaders’ revenue had design content, which also provides higher margins. Forging tight partnerships with key leaders in this ecosystem. Deep relationships with their key partners and customers enable Venture to earn their trust and confidence. This enables them to get more projects, as well as to be involved in more parts and process of the products being made. Venture has also focused on value creation, which would benefit its customers by lowering product cost – and at the same time, increasing its margins. Margins likely maintained – moving towards the OEM model. Venture has tweaked its business model to try to shift from being a lower-margin pure electronics manufacturing services (EMS) player towards being an original equipment manufacturer (OEM). It is also focusing on projects with better margins, instead of focusing on just pure revenue growth. In addition, it has also been improving its operational capabilities with R&D, as well as hiring more talented and effective personnel. This strategy has resulted in net margin improving to 10.5% in 3Q17 (3Q16: 6.7%). As such, we expect net margins going forward to range around 7-10%. Higher dividends a high possibility, with proceeds from Fischer Tech. The sale of Fischer Tech – equivalent to about SGD0.10/share of proceeds entering in 4Q17 – further boosts its cash pile. Coupled with strong forecast earnings growth, we think that higher dividends of SGD0.80/share, as compared to the usual SGD0.50, are highly possible, resulting in an FY17F yield of 4.1%. Maintain BUY, with a higher DCF-backed TP of SGD24.10. Going forward, signs of slowdown are still yet to be seen. With the bright outlook ahead, coupled with excess capacity to grow, we expect strong NPAT growth and margins would be likely to continue. As a result, we raise our FY17F earnings estimate by 29%, resulting in a higher DCF-backed TP of SGD24.10. Maintain BUY.